The first tip or trick I ever picked up dates from the mid-1970s. I was still in high school, on the yearbook staff. 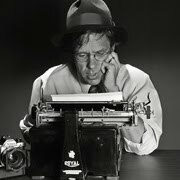 One of the photo magazines (this being before the internet, blogs, and whatnot) had an article on "Photo Tips from the White House Press Corps". On of the suggestions in the article was to take two rear lens caps and tape them back-to-back. This allows you to remove the cap from one lens while simultaneously putting it on another lens. As an added benefit, you only need two hands to make the change, without having to set a lens down. 30+ years later, this is still a handy tip. With dSLRs it is even more important, as a way to minimize how long the camera is "open" for dust to get in. Just make sure you clean the insides of those endcaps fairly often, so they don't accumulate dust which will eventually find its way inside your camera and onto the sensor. When I first did this, I used black electrical tape to tape the caps together, since black was "more professional" (naturally). I now have access to the same kind of tape, but in a variety of colors, and I'm now thinking of redoing the caps with a brighter tape that would be easier to see in dark reception halls.